Now here’s an interesting piece of casting news. 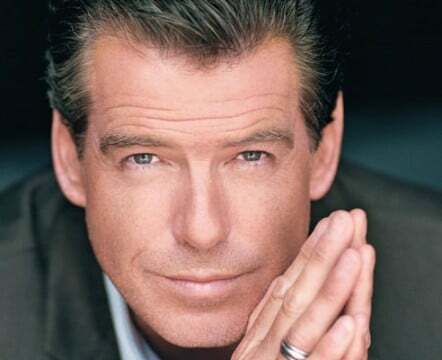 Pierce Brosnan – you may remember him from a few little films in which he played a secret agent of sorts? – has been cast to play yet another iconic figure, this one from history. He’s set to play Louis XIV, in the film The Moon And The Sun from Pandemonium. If it seems like an odd casting choice for Brosnan to play King Louis, try this one: The Moon And The Sun is a fantasy adventure story adapted from Vonda McIntyre’s novel about Louis attempting to steal the life force from a mermaid (Fan Bingbing) in order to achieve immortality. The King’s daughter then falls for the mermaid’s keeper and tries to set them both free. Pierce Brosnan. 17th Century France. Mermaids. I do not know if this is the greatest idea I’ve heard all day, or the worst. I guess it all depends on how the film plays out. The director is Sean McNamara, who produced Soul Surfer and directed 3 Ninjas: High Noon At Megamountain, and a whole lot of Even Stevens episodes. His latest post-production credit as a director (according to IMDb) is … Baby Geniuses and the Space Baby. Uh-oh. Will we give Brosnan the benefit of the doubt on The Moon And The Sun? Sure, why not. Despite McNamara’s less than optimal filmography, I tend to trust Brosnan’s choices. He only rarely does films solely for the paycheck. Pre-sales for The Moon And The Sun will kick off in Cannes, so Pandemonium is really trying to get the ball rolling on this one. Hopefully it will not prove to be a washout. What do you think about The Moon And The Sun? Would Pierce Brosnan be believable as the Sun King? Let us know in the comments.